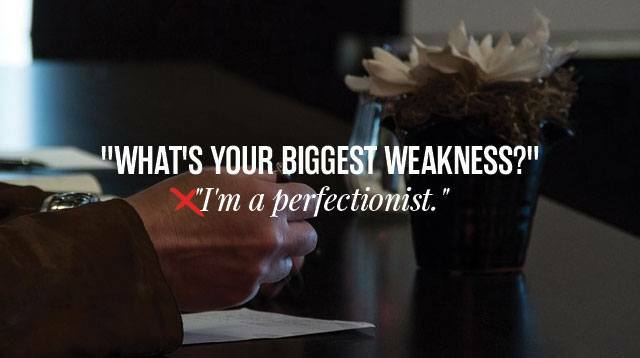 We've taught you how to survive this notoriously annoying interview question: "Tell me about yourself." But, unfortunately, it doesn't end there. The next hurdle is when the person in between you and your dream job asks you about your strengths and weaknesses. And even though you can't anticipate all the questions in your interviews, blacking out when a future employer asks you these is not an option. Filipinos (and Asians in general) aren't used to talking about our strengths because it feels too much like bragging. We've been programmed to wait for people to acknowledge our accomplishments before we feel proud of them, which is why we understand how difficult it is to walk the line between confident and arrogant. To answer this question, it is essential to keep in mind that it's not about how many positive attributes you can throw out there; don't just go through a list of adjectives and buzz words. Strategically think about the position you're applying for and use words that say, "Hey, I'm the right person for this." For example, if you're entering the service industry, let the interviewer know how patient you are and how much you value teamwork and communication. Next, support these claims with evidence aka stories. If you've had some experience, recall a time when you put the needs of the team before your own. If you're applying for an entry-level position, it's okay to talk about your experiences in group projects, organizations, and team sports in college. This question is definitely tougher to answer because we all want the job and we all think we need to be perfect to get it. But, believe it or not, employers don't expect you to be perfect. They want you to be self-aware, and that means knowing that you still have areas you need to improve on. This doesn't mean, however, that you should say things like, "I can't meet deadlines" or "I hate doing boring work." To stay on the safe side, talk about qualities you can turn into strengths. A common "weakness" that most people bring up is being uncomfortable with public speaking. But instead of ending there, talk about what you've done to overcome it. (Hint: Practice really does make perfect, and you can't be good at something without trying it.) So, yes, successfully avoiding public speaking isn't an option. For fresh grads, the lack of experience can feel like a weakness, but it isn't. Trust us, even if it doesn't feel like it, you've had experiences that can help you at your first job. So yes, go ahead and acknowledge the fact that you don't have much experience, but don't dismiss your abilities. If you run out of ideas, talk about what you're eager to learn about, and how your values match the company's.